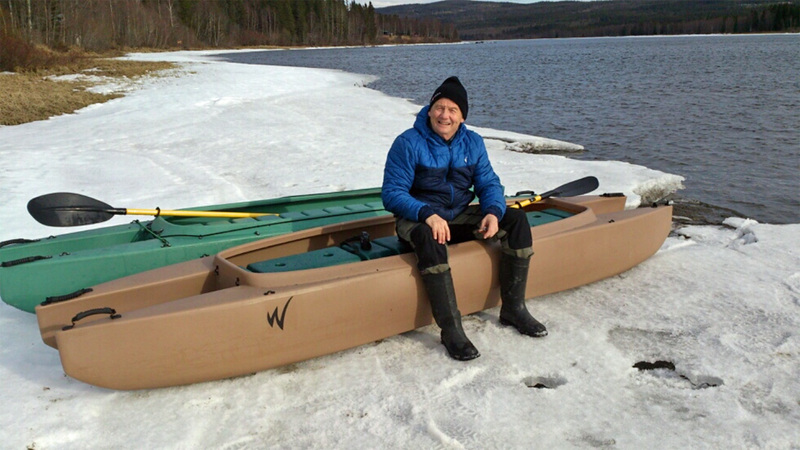 Finally, the Indalsälven river here in Undersåker is open for navigation! 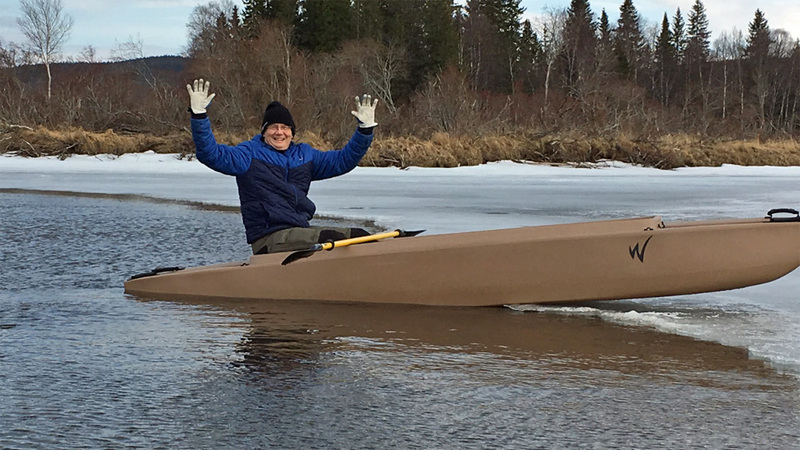 Although I had paddled my Wavewalk 500 last year, paddling the 700 for the first time was more than a surprise for me… Life is wonderful! I’m glad to hear that everything is OK.
What other boat handles so well on thin ice? A couple times I pushed a canoe across a lightly frozen river to fish from the bridge abutments into the unfrozen area around the pylons. But, I definitely won’t be doing that with either the W500 or the W700. For me, no third time on the ice. I’m definitely a warm blooded critter. Whatever the Swedes drink for anti-freeze must be good stuff! Stay warm, happy, and dry.